--Thanks, and yes, it was a huge surprise. I know that many people, not just the politicos and operatives in Harrisburg, were not aware of my earlier poems and books of poems. My first book of poems was published in 1994 and it was called Street of Knives. The first poem in that book is “The Warner Hotel Comes Down”, about the demolition of the last SRO hotel in the city and my last lines in the poem are “…a blemish removed/from the perky face of the city/that eats the weak.” I have written other poems that were extremely critical of my hometown so yes, I was amazed. --What is poetry for you? --Poetry is the lyrical expression of everything. --Do you see poetry as an exclusively artistic instrument, or do you believe it has a valid place also in the struggle for peace and social justice? I think it is both and has been for many years. I know that many people decry the “politicization” of poetry, that it should be an art form that should only be focused on the beauty of the ideas and words involved and that political poetry is often poorly crafted and overly polemical. While I agree that some so-called political poems are poorly crafted and annoying but there are many others that are quite the opposite; they are aesthetically beautiful, inspirational and thought-provoking. In my case too I have found that poetry is the only medium in which I can tell certain truths in a forceful way. Also, when I encounter some of the naysayers, I remind them that when totalitarian regimes come to power among the first groups of people that they seek to stifle or kill, are the poets. That’s no accident. They are a threat not because of their innovative syntax or word play, it’s because they inspire free thought and action; that effect is political. --Your poetry is very apt for reading in view of its narrative nature, its humor and irony and resort to tools such as reiteration. Is that the way you feel about it or is that my interpretation? --I agree with you and I think my work is connected to the older forms of lyrical expression that were meant to be spoken aloud. While I strive to create an aesthetically pleasing written creation I do so also with the intention of reading it aloud. I can hear the poem as I’m writing it, too. --Has your involvement with Puerto Rico and other countries south of the Rio Grande had an influence on your writing? Could you describe your experience with Latin America and Argentina? My involvement with Puerto Rico starts with the fact that I am half Puerto Rican and that I have spent time on the island as well as interacted with family and friends of that background up here. So my involvement with Puerto Rico starts in my blood and works its way out, both in terms of writing and being. I became more interested in all of Latin America as I came to know more about Puerto Rico. From this interest I started to read more Latin American and Spanish poets who have had a very strong influence on me. Of course Neruda, but also Ruben Dario, Nicolas Guillen, Borges, Julia de Burgos, Roque Dalton and the list goes on and on. --I have never visited Argentina but a few of my favorite people are poetas Argentinos, especially los Estebans – Esteban Charpentier and Esteban Moore – and Griselda Garcia, Alicia Partnoy and a few others. I have come to know a bit about the country from knowing these talented writers. It has been a great pleasure to have been interviewed by Esteban C. on his great radio show, Denserio, and a bunch of my poems have been translated into Spanish by Esteban M. and Alicia. I am so grateful to all of them. --The political "machine" has a view of reality which has little to do with that of the poet. Do you agree that it would be a good idea to stimulate the right side of the brain....!!!??? --I like the concept but I can guarantee you if they legalized placing electrodes on the heads of politicians it would end in mass murder.
. --Since 2006 Kearns has written about indigenous Latin American issues for “Indian Country Today” (www.indiancountry.com) the nation’s largest Native American news publication, with special focus on stories from Ecuador, Columbia, Mexico, Chile, Brazil, Guatemala, Paraguay and Puerto Rico among others. --Many of his articles dealing with the indigenous heritage of Puerto Rico are listed in a collection on the Caribbean Amerindian Centrelink: www.centrelink.org. The CAC is a scholarly project organized and managed by Anthropologist Dr. Maximilian Forte. --Three of his poems, “Aurelio’s Vengeance, Puerto Rico, 1901“, “Pasteles” and “The Body of My Isla” are included in the poetry section of http://www.virtualboricua.org (since 2005). His poems have appeared in the following anthologies: BULLYING Replies, Rebuttals, Confessions and Catharsis (Skyhorse Publishing, NY 2012); I Was Indian (before being Indian was cool) (Foothills Publishing, NY 2009); El Coro/A Chorus of Latino and Latina Poetry (Univ. of Massachusetts Press, Amherst, 1997); In Defense of Mumia (Writers & Readers Press, Harlem, NY, 1996); and ALOUD; Voices from the Nuyorican Cafe (Henry Holt & Co., NY, 1994. Winner of the American Book Award.) 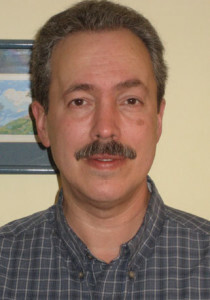 His work has appeared in literary reviews such as: The Massachusetts Review, Letras Salvajes (literary review from Puerto Rico), Letras (lit review of the Center for Puerto Rican Studies, Hunter College, NY), Conversation Quarterly (UK), Painted Bride Quarterly, Chicago Review, Revival Literary Review (Ireland), ONTHEBUS, Poetry Motel, The Blue Guitar, Drum Voices Revue (So. Illinois University Edwardsville), The Patterson Review, HEART Quarterly, Big Hammer, Palabra: A Journal of Chicano and Literary Art, Yellow Medicine Review, Fledgling Rag and others. Kearns has given readings of his own poetry as the featured reader in Harrisburg, Lancaster, York, Philadelphia, Pittsburgh, New York City, Baltimore, Camden (NJ) and other places since 1988, including colleges and universities such as Penn State University, Swarthmore College, Harrisburg Area Community College, and Rutgers University. Much of his work deals with his Puerto Rican heritage and identity, including his Taino background. He has performed his work with musical accompaniment on various occasions, including sessions with: tabla; flamenco guitar; Latin percussion-congas, timbales, etc. ; jazz saxophone; upright bass; jazz quartet of trumpet & congas, upright bass, guitar, sax & clarinet - the Con Alma Quartet since 2010. Rick Kearns and the Con Alma Quartet features the blending of Kearns’ poetry with established jazz tunes that typically include improvised interactions between the poet and the musicians. Since 2010 the group has performed at a variety of venues including: the Harrisburg Riverboat; the Central Pa Friends of Jazz Jazz Picnic; the Ware Center for the Arts, Lancaster, Pa; Open Stage Theater, Harrisburg, Pa; the Wildwood Writer’s Festival, Harrisburg Area Community College; the Culture & Main TV show, WRCT, York, Pa; and the Yocum Institute for Arts Education, Wyomissing, Pa.
Rick Kearns and the Con Alma Quartet released a CD of their collaborations in December of 2013.